2. 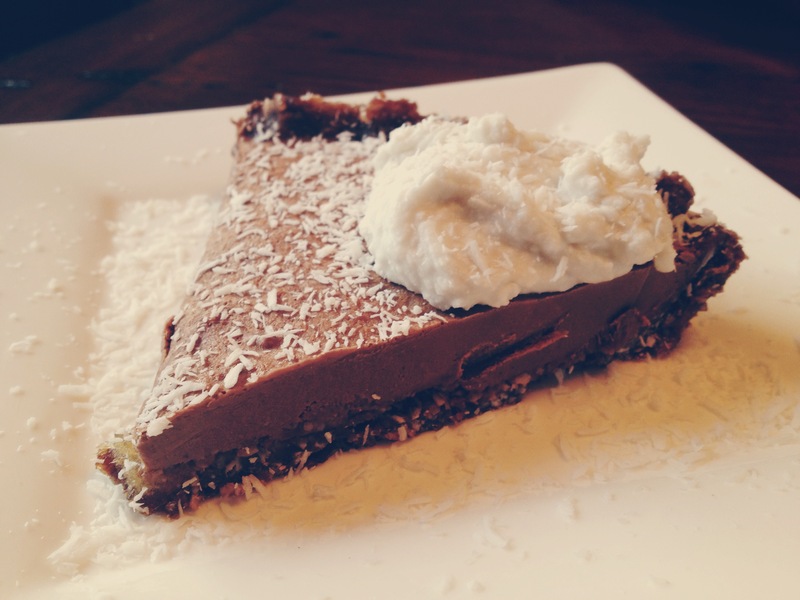 Spread crust into a pie dish coated in coconut oil for easy removal. Press the paste evenly into the pie dish, bringing the paste up the sides of the dish. 4. Place warm coconut milk into a blender. Add in wise one chocolate bars, sweetener of choice, vanilla powder & pinch of salt – blend until ingredients are fully mixed together, and chocolate is melted. 5. Pour filling over the crust & set in the freezer for approximately 3 hours. 6. Sprinkle optional toppings, serve & enjoy! *Pie can be kept in the freezer, and thawed for 15 minutes before slicing and serving. If you enjoy this post please share, and check out more like it here.